Each week during Lent you are invited to join one of the Brothers as they reflect on God’s word in Scripture. Today Br Greg McDonald begins with some thoughts on the Season of Lent, commencing with Ash Wednesday. On arriving at Eastwood, Sydney at the start of this year, I was greeted by the site of an unkempt and out-of-control hedge at the front of our new Marist House of Discernment. It was clear that the hedge had been neglected for several years, both in height and width. There was nothing attractive about its shape. So jumbled and every-which-way was its growth that it blocked the entire view of the house from the street. The property behind this messy wall of green could easily have belonged to some recluse who didn’t want to be disturbed. Not exactly the image of a place of welcome or of Marist hospitality! I realised that without some serious cutting and pruning, the hedge would have little aesthetical purpose to the property and would have to go. So, last weekend with the help of some friends, the hedge got a serious cutting back. It’s not a pretty sight now and won’t be for a few months. There’s little foliage, rather a bunch of exposed, jagged branches. In time, with new growth, young leaves will appear and fill the gaps, allowing the hedge to take on a new shape, colour and height that will allow a more generous and welcoming sight for visitors. Ash Wednesday marks the beginning of the Season of Lent and a period of 40 days of abstinence. For me the hedge is a symbolic reminder of the need to ‘clean house’ and prune parts of my own cluttered life, so God can find an easier way in and claim a space for his own. The psalmist cries out “create for me a clean heart, O God, and renew in me a steadfast spirit” (Psalm 51). God desires that I turn to him with my whole heart - how hard that is to do when my heart, life, and waking hours are pulled in so many directions! Yet this is what God asks of all of us who call ourselves disciples of Jesus; to free up some heart space, so the Lord can fill us in return with his love, mercy and forgiveness. Today’s Ashes remind me of my human fragility and incompleteness and my need to be continually filled with God’s loving presence. For Marists, Mary and Marcellin remain for us our models of Christian life – ordinary human beings who took the risk of creating that heart space which allowed God’s grace to flow in and through them, and for Christ-life to be born in them. As we begin the 2014 Season of Lent, I pray that whatever form our pruning takes; fasting from food or Facebook, together with simple acts of charity and kindness, we do so with the intent of making that heart space for the Lord, and allowing God to refresh and renew our hearts … and do it joyfully! Thought: What do I need to prune back or let go of in my life during these forty days of Lent, to allow God some heart space? Prayer: Loving God, create in me a clean heart, renew me with your steadfast spirit. Fill my heart with your presence so I can feel once again the power of your love, mercy and forgiveness. Amen. Br Greg McDonald, FMS is the Director of Vocations for the Marist Brothers Province of Australia. 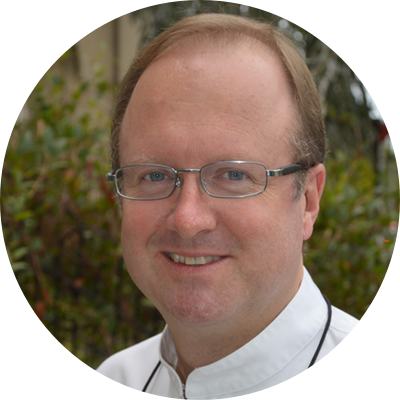 He has a Masters in Pastoral Ministry from Boston College and a Bachelor of Education from Australian Catholic University. He is a self-confessed cricket tragic and fan of the Boston Red Sox. Greg has recently moved to Eastwood, Sydney where he is setting up a Marist house of Discernment for men considering a vocation to religious life. Growing Future Marists – it’s all about Invitation!